Thanks to everyone who participated in the giveaway. It’s now ended, and winners will be announced on A.G. Howard’s website (http://anita-authoraghoward.blogspot.com/p/contests-and-giveaways.html) within the next few days. Welcome to the Morpheus side of SPLINTERED'S INTERNATIONAL RED CARPET EVENT AND GIVEAWAY! Check out Splintered author AG Howard's website for a ROCKING intro to this international giveaway. This is also where you'll enter to WIN amazing prizes!! Don't forget to head over to Bethany Crandell's for the other half of this interview with they other guy in Splintered, Jebediah Holt! Now for our interview with the enigmatic and extremely interesting Morpheus (did I mention he has a British accent? And some very cool wings?)!! Okay...I'll admit that I'm horrible at reading craft books. I love to learn craft and try to always better my writing, but I usually stick with articles. So after years of hearing about this book, it finally decided to bonk me on the head (actually, it was in my RWA chapter's library and I snagged it). I wish I would have read it sooner. EVERY page is loaded with so much. About life. About writing. Plus King is just an interesting person. His writing resonates and every other sentence contains some kind of nugget that I'd love to tape up on my wall. 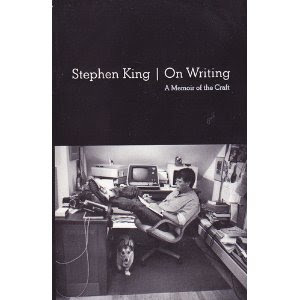 Needless to say, after I finish King's memoir I'll be checking out some of his fiction. I've asked before about your favorite writing craft book, but now I'm wondering why it's your favorite? What makes it stand out? And if you could choose to meet any author, who would it be and why? Blog tours: can they make you or break you? I did a blog tour (however informal) when my book came out and I can see NO drawbacks to doing one. I think blog tours are excellent ways to get the word out about your book. Will they sell it? Nope. That's what the blurb, cover and writing are for. But at least they tell people the book is out there. How do you get involved with a blog tour? Well, you could go the professional, cost-money route. There are a lot of companies who offer different packages and it could be worth your while. I heartily recommend blog tours! In fact, I'm a guest later today at Diane Estrella's blog! (and I said I didn't have a celebrity crush, but I forgot how much I like Channing Tatum! lol). I ran across a great article the other day HERE. It mentions a bunch of cool things but a particular idea caught my attention. It's the SO WHAT factor. "It's easy to confuse concept with plot, and that's not it. Because that leaves out something that Lisa Cron's recent book WIRED FOR STORY calls the "'so what?' factor." She goes on to explain that the "so what?" factor is what clues a reader in on the point of the story, the relevance of everything that happens in it, what the story is about." Basically, why should we care? Empathy is SO important in books. I think empathy and curiosity are the two biggest things that will keep a reader turning pages. If you've got a WIP, check out your first page and ask yourself if it piques curiosity or empathy. Think of a book you couldn't put down. What kept you reading? How can you work that "So What" relevance into your WIP? 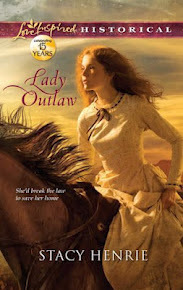 I am finishing up Stacy Henrie's debut Lady Outlaw! The first things that drew me to this story were the cover and the premise. Stacy created a heroine who steals from thieves in order to make her ranch payments. But then along comes this handsome stranger in need of a job (read our Hero) and the heroine begins reconsidering how she supplements her living, especially when she finds out about the Hero's past. His gentle ways and faith in God affect her too. So far I'm enjoying the story. The premise is unique and I love that the heroine is so completely imperfect. I find internal sins a lot in Christian books (attitude, pride, etc) but rarely do I see such blatant external wrongdoing. It's a nice change and makes for a strong character arc. Stacy is a good writer and I'm looking forward to reading more of her books! Hopefully the covers will be as awesome too! Currently I'm reading Lady Outlaw, which I'll be reviewing on Wednesday. I'm so excited to announce the release of Cheryl Linn Martin's debut middle grade mystery series, The Hawaiian Island Detective club! Any kids who like mysteries in exotic settings are going to love this series. The first book is Pineapples In Peril. Cheryl's writing is crisp and suspenseful. Her characters are loveable. Leilani is the Nancy Drew of the series. She has a thirst to solve mysteries and lets nothing stop her, not even her pestering little brother, Kimo. I'm looking forward to reading all the books in Cheryl's series! You can find Cheryl at her website, her blog, Facebook and Twitter. Do you write or read Middle Grade fiction? Have any questions for Cheryl? I learned a cool little trick the other day. I'm on a self-pub loop mostly for information's sake. Times are changing and it's good for authors to be aware of what's going on, what works, what doesn't work, etc. Writing for publication isn't just an art, but a business. Anyway, I found out Amazon likes to match prices, so when my book Love On The Range went on sale at Harlequin for $3.45, guess what I did? *grin* I told Amazon! And sure enough, about a week later, my Amazon price started dropping lower and lower. It was a fun experiment and good to know for the future. Have you learned any cool tidbits recently? Oh, and on Wednesday I'll be hosting my fabulous critique partner Cheryl Linn Martin. She's a middle grade writer whose first series is fixing to release. 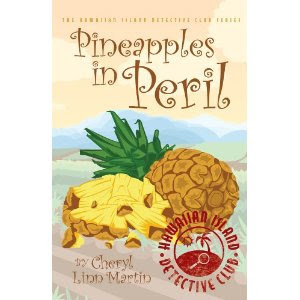 If you love Nancy Drew and have kids who like mysteries, Pineapples in Peril is for them! Woohooo, the giveaway has ended and there are goodies to dispense! So since I don't have anything new coming out yet, I thought it might be a good idea to have some kind of contest. I've never done the twitter/fb/post type of contest but I think it might be fun. Heeheee, especially since there's chocolate involved. 1. If you want to be entered once to win a prize, let me know in the comment section. 2. Mention Love On The Range on Facebook OR Twitter, let me know in the comments, and you get two entries. 3. Mention Love On The Range on BOTH Facebook and twitter, let me know in the comments, and you get three entries. I read all your comments and think Monday sounds like a good day to blog, so I'll be changing things on that front. Also, I'm planning a completely rocking End of Summer contest to promote my book Love On The Range (which isn't available in physical stores but is still available online). There will be big prizes involved, including Godiva, books, gift cards and maybe some author critiques? I've never done a contest like this that will involve tweeting and stuff, but I've seen other writers do it and it seems to work for them? So I'll announce the deets next Monday and go from there. Due to some family changes, I no longer am working Mondays and Fridays. The summer has been more busy than I anticipated so my poor blog has languished a bit. I've been in the writing world for over five years now and I've known for a long time that if characters can have a good, honest talk and work out their troubles, then the plot conflict isn't strong enough. But I hadn't thought of this in the form of assumptions until a reader made a comment about a book and how she enjoyed that the characters didn't just assume things about each other. A character's goal has to be impeded by more than her thinking the other character (antagonist/hero) wouldn't like the goal. The internal conflict should be more than her thinking the other character will disapprove or hate her. I adore internal conflicts but they have to have a concrete external conflict to make them believable. If the conflict isn't believable, or worse, could be cleared with an honest conversation, then this hampers the tension of the story in a big way. The reader might not care about turning the pages to find out what happens. I've been eagerly awaiting this book and Katie's writing didn't disappoint! 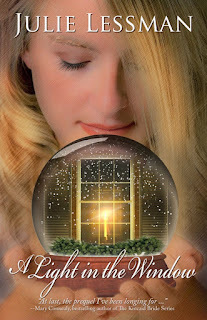 The characters were interesting but I really enjoyed Katie's prose the most. It's strong and unique. I'll definitely be picking up her next book. I whipped through this book! Williamson is a new author to me but I thought the pacing of the story was great. Have I read/watched clone stuff before? Sure, but the characters came across very real and I enjoyed the dialogue. Looking forward to more by her! This was a sweet story. I particularly loved the secondary characters, esp. the jilted fiance. I'd love to see him with his own story because I think he'd have a great character arc. The best friend was a lot of fun too. I'm looking forward to reading more of Beth's work. What drew me to this story, besides her being a blogging buddy, was the premise. :-) Very hooky! I read a wonderful article in the RWR recently about theme and how it plays into books/stories. According to the article, theme is the passion and question inside the writer that finds its way into all her stories. Beneath voice and plot is theme. I'm not detail-oriented and I'm not a plotter, but after having a few manuscripts of different genres and tones under my belt, I have an idea of what the overarching theme of my stories is (note: love is not necessarily a theme). Do you think about Theme in your writing? Do you analyze it in books? My writer friends and family know I have a soft spot for "bad boy" heroes in fiction. I've tried to analyze why and have had some interesting insights into myself, but recently I had a major breakthrough. I'm watching a series which is out of my norm, but have found myself hooked by the storyline...and the "bad boy". One night while watching a scene between "good guy" hero and heroine, I became aware of this odd feeling in my chest. A discomfort. That's right. I prefer "bad boys" because I distrust Knights in Shining Armor. You know, the good boy heroes who live atop a shining steed, so high in fact that I know their fall is going to be a hard one. This is what writers should do. Sit down and write. For many of us, especially if unpublished or without a contract, we tend to procrastinate. Right when we're about to write, we remember that our blinds need cleaning. Back in the day, I used to pound out 1k a day. I'm trying to work back up to that but it's been pretty challenging. Do you have daily goals with your writing? What area in life do you find yourself procrastinating the most? As I was watching it in the theater (yay! ), I was processing the format of the storytelling, the characters, the dialogue, even how the director used the setting and visuals to create mood. I immediately connected to the heroine because she was a little girl imprisoned by a wicked queen. I rooted for her to be free and cheered (inwardly, of course) when she escaped. Then came my AHA moment. A hero is tracked down, a guy who can follow the heroine into dark places and bring her back. I didn't want him to. I wondered why he would. Then the evil queen offers him something that made my breath clench and immediately hooked me into the story. You see, the hero is found drunk and careless. He's a widower who lost his way when his beloved wife was murdered. I missed my Wednesday posting! Of course, that's not the end of the world for anyone but I still felt guilty. Not only that, but I also need to confirm what the writers who read my book all ready know: I head hop. I head hop, and the editors were okay with it. How is this possible? Well...it's been my experience so far (and subject to change) that editors don't care about all the same "rules" writers do. Head hopping seems to be something writers obsess about but in reality, when it's done well, neither readers or editors notice. When it's not done well, then a scene may be confusing, etc. (disclaimer: I am not claiming to be a good head hopper, just that I do it). 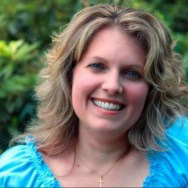 I met sweet Keli Gwyn when I first started blogging. She was the first person who ever interviewed me about writing. Keli Gwyn writes stories that transport readers to the 1800s, where she brings historic towns to life, peoples them with colorful characters, and adds a hint of humor. A California native, she lives in a Gold Rush-era town at the foot of the majestic Sierra Nevada Mountains. When she emerges from her fictional world, she enjoys strolling past the stately Victorian houses in her hometown, drooling her way through the Coach factory outlet store, and fueling her creativity with frequent trips to Taco Bell. Not only that, but she is a creative and generous person who sends out hand-written notes, gifts and has a real flair for scrapbooks. I won a First Sale scrapbook which I'm still working on, but it's incredible! Keli's book sold last year and will be releasing in June. You can pre-order A Bride Opens Shop in El Dorado, California HERE. 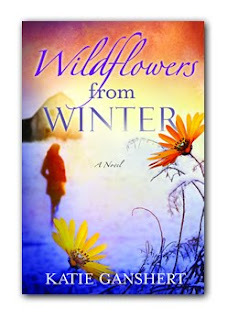 Today we have debut author Katie Ganshert. I met her a few years ago while we were both querying. She is awesome and dynamic and has a huge heart for God/love. Thanks for joining us today, Katie! 1.How many manuscripts have you written and did the one that sold feel different? I've written six. The one that sold was my third manuscript and it definitely felt different. It was the first manuscript I wrote after I read a whole bunch of craft books. I felt so much more knowledgeable about story telling and the craft of writing as I wrote that one. 2. How many years have you been writing? Well, I've written stories ever since I could pick up a pencil. But somewhere in my teen years, I stopped. I didn't come back to it until I went to Nairobi, Kenya six and a half years ago. I came home with a story exploding inside me, so I wrote my very first novel. 3. Tell us a little about the events leading up to your first sale. Today is the first day of the month of debuts! I'm excited to host debut authors, some of who I began blogging with years ago. The great thing is that no matter where you're at right now, it's important to know your path can change if you keep moving forward. Not only is my first book out in April, but so isNaomi Rawlings's! She very kindly agreed to be my guest today. Adios Estados Unidos, Bienvenidos Costa Rica! I'm in Costa Rica blogger friends!!! Will be back next week. Have an awesome end of January everyone. What's the most exotic place you've ever traveled to? The strangest food you've eaten? I used to watch NCIS...until I realized Ziva and DiNozzo weren't going to hook up. Turns out my real interest lay in the tension between these characters, and when their attraction seemed to take a backseat, so did my attention. I still like the show, but it no longer hooks me. Sometimes what one person loves in a story is completely different than what someone else loves. Same story, different draws. This is why it's so important that we have more than one hook in our books. Every plot has more going on than just action, or just romance. My husband's favorite movie is Braveheart. He loves the action. That's his hook. Mine is the lost love, but also the new love with the queen. What is your fave book of all time? Why? What is it about that story that hooks you? Do you have more than one hook in your WIP? I had the privilege of meeting debut author Henry McLaughlin at the 2011 ACFW Conference. He's such a nice, interesting man that I had to pick up his book. I'm glad I did. While there's a romantic thread to this story, ultimately it was the writing and the wonderful Old West feel to the book that grabbed me and kept me. Check out his first line: The crowd was small for a hanging. I definitely recommend this book to readers who like historical fiction. I really enjoyed this read by Noelle Marchand. This is her first book and she sold it at a super young age (I think 16?). Sometimes category romances get a little formulaic but this one felt very fresh to me with vivid characters and an interesting premise. The irony of characters, in my opinion, is that in order to make them real, we have to make them unreal. What I mean is, no real person can be put in a box and labeled. But to write a character that stands out, we must give that character overarching qualities (labels, even) in order to make that character real and memorable. When I was in middle school I went on a retreat and we did an intriguing exercise. On the outside of a paper bag we wrote words that described how others thought of us (or how we feel we appear to others). On the inside of the bag we wrote words to describe how we felt on the inside. I think this is a great exercise to do with our characters. For example, I'm reading The Girl With The Dragon Tattoo right now. One main character, Blomkvist, doesn't stand out to me at all. He's okay but he doesn't capture my interest. The other character, though, is Lisbeth Sanders. She's intriguing. This is how I think the author made her intriguing.